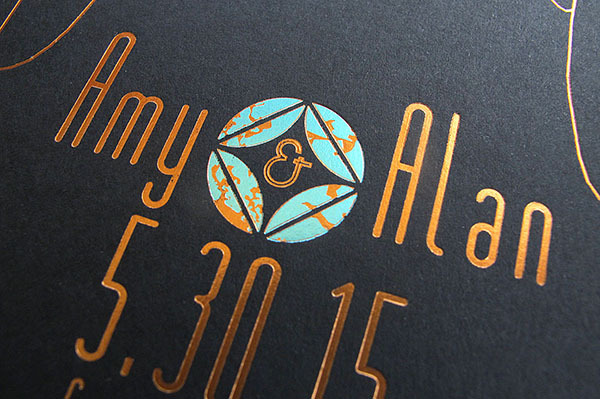 Before we turn on the way-back machine and look at some really great past projects in the next few posts, we wanted to shine the spotlight on this super-shiny save-the-date for Amy and Alan. 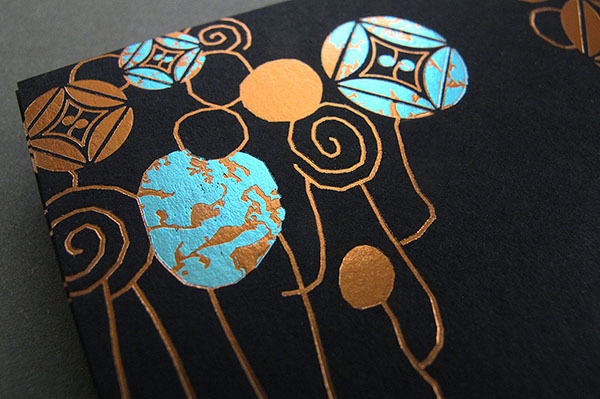 Amy wanted to mimic the look of a patina on copper, so the solution for this card was to pick a rose gold foil and overprint a minty foil on some of the blossoms. 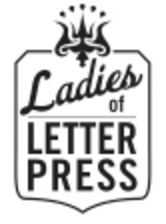 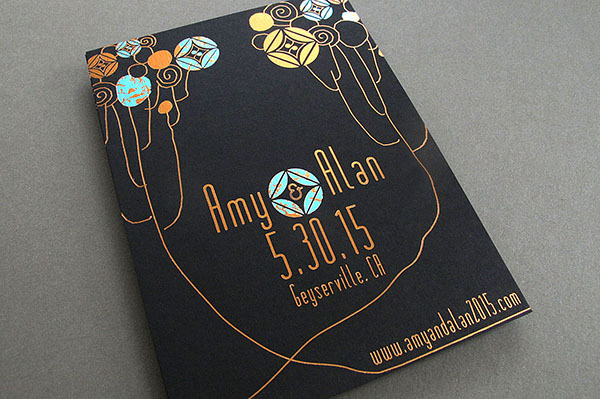 Our foil printer nailed the tight registration; no mean feat. 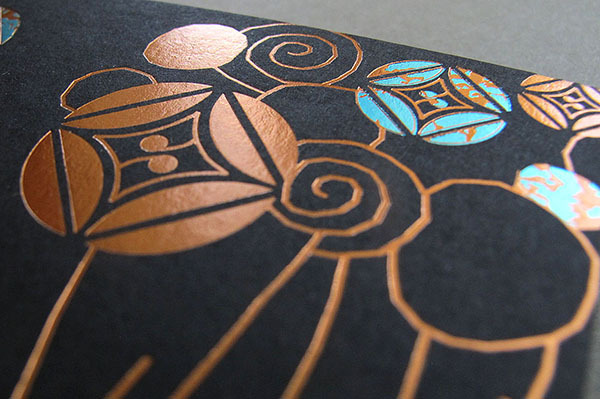 Amy chose a heavy black paper from Colorplan to make the art nouveau blooms glow even brighter.